"I was me. I was Flavia. And I loved myself, even if no one else did. 'All hail Flavia! Flavia forever!' I shouted as Gladys [her bicycle] and I sped through the Mulford Gates, at top speed…"
I adore this character. And I'm mesmerized by Bradley's skill at creating a completely believable 11-year-old as the first-person narrator and protagonist of an adult mystery novel. The advent of child protagonists in adult fiction has become rather standard lately, I realize. THE SECRET LIFE OF BEES, THE KITE RUNNER, THE GOLDFINCH, LIFE OF PI, THE LOVELY BONES, to name a few. Yet, the idea of it fascinates me, especially with first-person narration. If it's all told from the child's perspective, one could argue, isn't it a children's story? If the protag is well-realized, then the story belongs to a child, fictional though he or she may be. Seems to me the publishing industry classifies novels as "adult" based on vocabulary and mature content, which is understandable, but it can sometimes seem arbitrary. 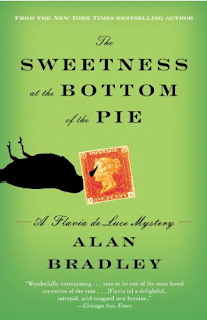 Consider the fact that Bradley's first Flavia novel, THE SWEETNESS AT THE BOTTOM OF THE PIE, won an armful of trophies for adult fiction, including the Agatha and Macavity, but also found itself on several lists of Best Young Adult Fiction. It was nominated for the Young Reader's Choice Awards and for the Alex Award, which honors "books written for adults that have special appeal to young adults ages 12 through 18." This leads me to wonder: Does it go both ways? Are there books for children with adult protagonists? Are children's writers afforded the same creative license by traditional publishing and readers? And let me be clear: I'm talking strictly about protagonists, the primary character perspective of a novel. Of course there are many sympathetic adult characters throughout children's literature, or adult characters who have select chapters written from their perspective. But are there any books with an adult for the primary protagonist? 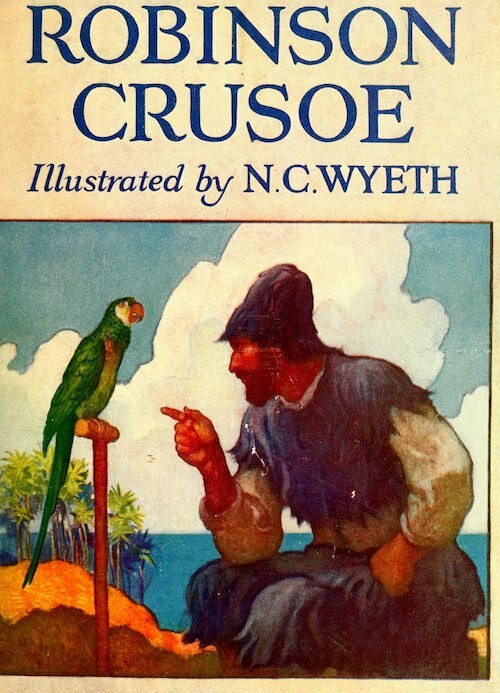 I can think of a few titles from earlier eras with adult protags: ROBINSON CRUSOE, 20,000 LEAGUES UNDER THE SEA, THE THREE MUSKETEERS, etc., though I do wonder how many young people these days actually read these novels. And there are young reader classics with quirky adult protagonists, like MRS. PIGGLE WIGGLE, MR. POPPERS PENGUINS, and MARY POPPINS, though none are told from the first person. But I'm hard-pressed to think of recent examples. It seems that the industry thinks if a book is for a child, the protagonist's age should match the reader's. Hence the 14-year-old protag dilemma.Diana Wynne Jones says, "…they [children's protagonists] usually have to be strong, dynamic characters…people that children will follow willingly into the action. 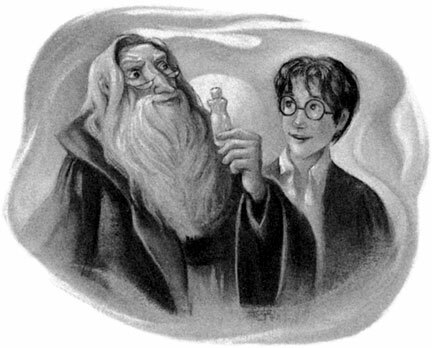 For this reason, it was thought at one time that the main characters always had to be children. This turns out not to be true…as long as someone in the story is likable, understandable or a lovable rogue..."“At one time,” eh? I’m not sure that the era of requiring child main characters for children’s books has past.Jones does capture the essence that would be necessary for an adult protagonist: "a lovable rogue," an outsider, someone who doesn’t understand or at least doesn’t follow the unspoken grown-up rules that are often inscrutable to children. A major exception to the "no adults allowed" rule can be found in animal and fantasy literature. Consider the REDWALL series, where ages aren't mentioned, but the woodland creature protagonists are warriors, monastic apprentices, and in other adult roles. And in THE HOBBIT, which Tolkien wrote for his children as a precurser the more adult LOTR series, Bilbo is an adult, but he’s also something of an ingénue so that he's able to enter the adventure in much the same way the reader does, discovering a new frontier. But all told, adult protags are hard to find in children’s lit. Perhaps it's easier for an adult to envision themselves young again, granted the freedom to return to the complexities of growing up with the wisdom and experience of adulthood than it is for a child to understand an adult world from an adult perspective. Whether or not we're allowed adult protagonists, it's clear that children's books do as much heavy-lifting in the serious subjects department as an adult book can. Children's books often tackle difficult issues in a uniquely insightful way. I'm fond of what Madeleine L'Engle once said about her work: "You have to write the book that wants to be written. And if the book will be too difficult for grown-ups, then you write it for children." The notion that the reader's age should roughly match the main character's seems narrow to me. A sixteen-year-old can lead a middle-grade adventure and the eleven-year-old reader isn't going to have a problem with it if the story is good, the character rings true, and the subject-matter appeals. Precocious kids read a wider range than their own market demographic anyway. To let the right character with the right skill-set arise organically to meet the challenges of a middle-grade, or young adult, or adult fiction story, regardless of that character's age seems to me to be the logical path. (Flavia, QED.) Adult fiction seems to accept that. Why pigeon-hole kids lit? Shouldn't we get to know and learn from across generations? Perhaps these false dichotomies and boundaries between ages are why so many of us reach adulthood and are surprised to discover that we're fundamentally the same person as our childhood selves, just with more responsibilities and experiences. Just as adult readers enjoy the chance to live vicariously through a child’s discovery and freedom, so children need proxies in the grown-up world, guides into adventure and discovery in places inaccessible to them. I would be interested to see what would be created if the unspoken "kids POV for kids lit" rule wasn't there. Have you seen any adult protagonists in kids lit lately? Do you think there ought to be? Leave a comment and join the conversation! I've thought a lot about this lately. This is certainly why I mostly write animal stories because I don't like dealing with the particulars and politics of humans. Though even then, I get questions from EXACTLY how old everyone is, and I hate to answer because I know I'll hear some variant of "If we want kids to read, they have to be in the lead." So personally, I feel that's too narrow. Before I go on, I do have to acknowledge that part of the instance of kid or teen driven stories is because we can risk coming off like a boring "know it all" thinly disguised moral tale devoid of entertainment and strong storytelling. But to me, that's a different problem than giving adults a meaningful place in the story, whether or not they "star" in it. I think I'm especially torn here because I didn't have the kind of childhood I want to "brag" about, and I sometimes I feel left out when I talk with other writers who had the kind of family life or school environment I could dream of, and at times I misread people who may be joking, but that doesn't I'd find it funny even if I read the situation "right." Or I'll read a picture book I LOVE, but also makes me sad because reminds me of what I didn't have, and a range of bittersweet emotions flow through me. I think it's why I LOVE Micheal Hoeye's "Hermux Tantamoq Adventure" series so much. They are GREAT books first and foremost, but the cast is clearly adult, echoing the "Redwall" example Joanne mentioned above. 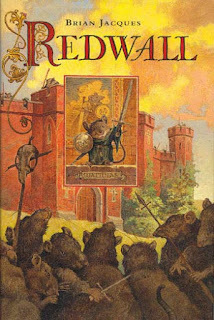 But what sets it APART from Redwall series is that it's not of the clan-based warfare mold that animal fantasy in particular is often annoyingly typecast as. But that's a whole other topic I won't go into here. I think we sometimes as writers get over-obsessed with ageism in kidlit. Anyway, I can relate to Hermux in that real exciting things in my life didn't start happen until I was older, and no, I didn't get involved in murder cases or anything. But I find that more in my reach since my childhood is behind me (even though I'm biologically closer to it than most of my writer friends) but as I have to remind them, youth alone isn't everything, and it's not easy when you're constantly aware of your mortality every day. I didnt' grow up naively blind to my mortality, and I often felt when people told me to be "patient" it's like they give off the impression that just because I'm not eligible for AARP, I've got "infinite time" and I don't. None of us do. Again, I probably misread that, but it does feel that way, and why I didn't like to disclose my age a few year ago, like my pain is invalid because I haven't seen my kids die, lived the H** of war, etc. Like anything I felt is nothing compared to what other face. I know they're trying to be supportive when they say this, but that's like telling a new mom, "You'll get to sleep again when they're in college or get a job" and again, sometimes this is said in jest, but I don't it's healthy to normalize putting yourself last ALL THE TIME. There's a difference between negligence and self-care we all need, regardless if we have children to raise or not. I'm a non-parent, so take it with the proverbial grain of salt you will, but there is a difference between healthy self-care, and being self-obsessed. But these days especially, all we preach to kids and teens is "Be selfless, sacrifice anything you want for the good of the family, or the world" and I know I'm exaggerating a little but it does FEEL that way and it can't just be me. While I certainly don't want kids and teens to have face excess trauma, I do think some writers (some parents and teachers, too) idealize childhood so much, it makes those of us who didn't see life start to improve until adulthood, like me, feel like freaks of society. I know it's not the intention, and possibly because I have Asperger's Syndrome, I misread sarcasm dn Hyperbolic statements kidlit writers in particular often make, but I do still think there's a hint of "Being a kid is awesome, adulthood's only misery, declining health and taxes" in those statements, and I don't think that's a healthy or hopeful message for ANYONE. I know we have lot of parents and teachers (retired or still in classrooms) in the "Project Mayhem" community, and I in no way mean any disrespect for what your strive toward, but I can only speak for me, and what I had to live, and what I've seen in those around me. Perhaps my experience is foreign to you, but it's REAL, even if you or those you serve were spared the struggles I faced in and out of school. My own writing flies in the face of that myth. "GABRIEL" would NOT be as strong a story as it is if I stayed the angry kid victim I once was. While I in no way excuse bullying (esp. when it causes death and/or life-altering injury), sometimes those bullies are treated as badly as they treat others, I had to GROW UP to empathize with that, and give Rum (the story's antagonist) the three-dimensional life he, and those like him, deserves. There are things I have to deal with and live through that even the most resilient child or teen would shiver in fear over. To mock that is just as cruel as anything the meanest and most insensitive adults you know could do to your, your kids, your grandkids, great-grandkids or your students under 18. While some adults certainly can insultingly underestimate what kids and teens can do given the chance and opportunity. We shouldn't in any way belittle what those of us OLDER THAN 18 have to deal with, and live every day, because we can't do anything about it but endure. While some adults certainly can insultingly underestimate what kids and teens can do given the chance and opportunity, we shouldn't in any way belittle what those of us OLDER THAN 18 have to deal with and live every day because we can't do anything about it but endure. It's a myth that and adults are all callous, narrow-minded, or cold-hearted cowards who just "run away." I didn't run away. But I'm not teflon with organs. I fail, bleed, cry and scream not because I'm Joker-level insane, but because I'm an imperfect human being. I think this is why I can't read most books by Dahl, for example, because the adults are viewed by such a narrow lens in order for the kids to shine, and I know there are jerks like that, but I worry it gives the impression that everything about adulthood is sick and twisted. Even as a kid myself, I felt this way, especially because I had to "GROW UP" for my life to get any semblance of "Better." I'm sorry I sound angry, and I'm certainly NOT angry at Joanne, your post is a great thing to think about. Any anger is about the challenge, not anyone bringing it up. I'm just probably hyper-sensitive to the whole thing. But I can't be alone in this struggle. EDIT: "Before I go on, I do have to acknowledge that part of the INSISTENCE of kid or teen driven stories is because we can risk coming off like a boring "know it all" thinly disguised moral tale devoid of entertainment and strong storytelling." Lots to respond to here, Taurean, but I'll just say that your comments serve to remind me that there is infinite complexity to children and adults. When writing for child readers, I hope we can represent that well, whichever side of the age line we're writing about. This is a fascinating question! I'm currently reading ALL THE LIGHT WE CANNOT SEE, by Anthony Doerr (which is brilliant and brutal and beautifully written, BTW), and it reminds me in many ways of THE BOOK THIEF, by Markus Zusak, not only because of WWII, but also because of it being about children, but not necessarily for children. I think this is one of those things that is very hard to define, but if you read a lot, especially if you read kidlit and adultlit, you'll know if when you see it. Second time this week someone's mentioned ALL THE LIGHT WE CANNOT SEE. Must read! It is absolutely magical. The prose! The characters! The strife! The romance of radio. Doerr is a genius and he writes like a poet. It's a second recommendation for me too! I'll have to check it out. Is the narrative POV a child? It's actually quite a bit like BOOK THIEF in that way because the two protagonists mature from children into teenagers, and although it is not narrated by death (it's an anonymous omniscient third person narrator), it's also still not what I would call a MG or YA book, but it's also not necessarily purely and adult "literary novel" either. It's a bit nebulous, to be honest, but it's brilliant and I think it won an NBA and a Pulitzer, so definitely worth reading. I want to read about Flavia now! You must, Michael! Such a treat to read. I suppose one advantage to historical fiction, and fantasy or science fiction, is that you can have child characters with adult roles. A couple hundred years ago, a 14 year old basically was an adult. I discovered Flavia when a book blogger shared the THE SWEETNESS AT THE BOTTOM OF THE PIE was an excellent audio book. What a phenomenal character! Not only are we to have children protagonists, we're not to have too many adult characters at all. I'm currently working on a Klondike gold rush novel, which apart from the protagonist and his sixteen-year-old brother (not very MG-y, right?) is the only kid in the story (apart from a girl that gets a few lines). I was curious if my editor would have me add in more kids. So far, not an issue! I love this because first there weren't many kids in the Klondike (well, some, but not many), and my character is based on Huck Finn, another story mainly filled with adults. I recently discovered the Flavia books too, Joanna, and think they are tops! And I remember being in a bookshop in London and seeing a new book in the kids' section, Harry Potter and the Philosopher's Stone...and then seeing the same book with a different cover in the grown-up folks' book section. 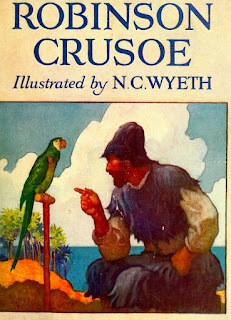 The publisher had simply made two different covers thinking an adult might not be willing to read something with a colorful cover (the adult cover was dark and brooding in black & white.) And what kid doesn't love a pirate? Old, scraggily, and bearded. Let's face it, a great story will be loved by all.